Petri Komulainen on toiminut Sinfonia Lahden käyrätorven varaäänenjohtajana vuodesta 2001 lähtien. Hän on opiskellut käyrätorvensoittoa Sibelius-Akatemiassa Timo Ronkaisen, Freiburgin musiikkikorkeakoulussa Bruno Schneiderin sekä luonnontorvensoittoa Baselin Schola Cantorumissa Thomas Müllerin johdolla. Komulainen on valmistunut musiikin maisteriksi sekä orkesterinjohdosta että esittävästä säveltaiteesta. Hän on levyttänyt käyrätorvistina ja kapellimestarina IFO-, ALBA-, Fuga-, Pilfink- ja BIS-levymerkeille. Syksyllä 2016 Petri Komulainen aloitti puhallinorkesterinjohdon lehtorina Sibelius-Akatemiassa. Yhteistyö urkuri Jan Lehtolan kanssa on jatkunut vuodesta 1995 lähtien ja maaliskuussa 2017 duolla oli konsertti yhdessä maailman tärkeimmistä konserttisaleista Mariinskissa Pietarissa. Monet säveltäjät kuten Axel Ruoff, Naji Hakim, Thierry Escaich, Jouko Linjama, Paavo Heininen, Harri Ahmas ja Kalevi Aho ovat säveltäneet uusia teoksia Komulaiselle ja Lehtolalle. Petri Komulainen has been associate principal horn in the Lahti Symphony Orchestra since 2001. He studied with Timo Ronkainen at the Sibelius Academy, with Bruno Schneider at the University of Music Freiburg and the natural horn with Thomas müller at the Schola Cantorum in Basel. He holds a Master’s degree in both conducting and performance and has recorded as both a horn player and a conductor on the IFO, Alba, Fuga, Pilfink and Bis labels. In autumn 2016 he hegan as lecturer in wind orchestra conducting at the Sibelius Academy. Komulainen has played concerts with Jan Lehtola since 1995 and the duo had a recital in one of the most important concert venues, the Mariinsky Concert Hall in St. Petersburg in March 2017. Many composers such as Axel Ruoff, Naji Hakim, Thierry Escaich, Jouko Linjama, Paavo Heininen, Harri Ahmas and Kalevi Aho have written new pieces for Komulainen and Lehtola. Jan Lehtola and Petri Komulainen have played over 100 concerts together in the last 23 years. They have commissioned several works, and have performed new works for horn and organ by many Finnish and foreign composers. Lehtola and Komulainen have performed in various festivals and concert series both in Finland and abroad. Petri Komulainen is in demand as a conductor, chamber musician and music pedagogue in addition to holding the position of associate principal horn with the Lahti Symphony Orchestra. He is known as a versatile and innovative musician who is at home in the symphonic repertoire, opera and chamber music as both conductor and instrumentalist. He is particularly interested in contemporary music and collaborates intensively with composers, for example in performances of Harri Ahmas’ chamber opera The Snake Ring in 2008 and 2011. Komulainen has been successfully involved in evolving an interdisciplinary music pedagogy for the new generation in collaboration with numerous leading Finnish orchestras, for example in Helsinki, Lahti, Kotka and Tampere. Komulainen has recorded for the Alba, BIS, Fuga and Ifo labels as both instrumentalist and conductor. Amongst his releases are a 2009 album with the St Michel Strings featuring music by Naji Hakim and his 2007 CD I Mosaici di Roma, which brings together horn works premiered by and dedicated to Komulainen. Petri Komulainen has appeared as a guest conductor with many Finnish orchestras, such as the Finnish Radio Symphony Orchestra, Lahti Symphony Orchestra, Kymi Sinfonietta, Pori Sinfonietta, Tampere Philharmonic Orchestra, Turku Philharmonic Orchestra, Finnish National Opera Brass Ensemble, Sibelius Academy Symphony Orchestra, Sisu Wind Orchestra, Oulu Symphony Orchestra, St Michel Strings, Vivo Symphony Orchestra and Zagros Ensemble. He has served as conductor of the Helsinki Polytechnic Orchestra during 2005 to 2013. Since the beginning of year 2013 Komulainen has been the artistic director of Zagros Ensemble. In the autumn 2016 he began his work as lecturer in wind orchestra conducting at the Sibelius Academy. 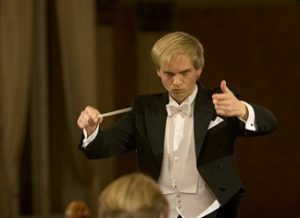 Petri Komulainen studied the French horn and conducting at the Helsinki Conservatory, the Sibelius Academy, the Musikhochschule in Freiburg, Germany and the Basel Schola Cantorum in Switzerland. 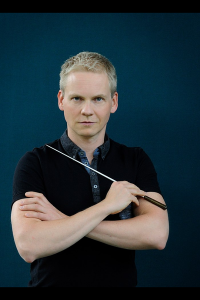 Komulainen graduated from the Masters programme at the Sibelius Academy with excellent grades in 2008, both in performance and in orchestral conducting. He received 3rd Prize at the International Jorma Panula Conducting Competition in 2006. Petri Komulainen ist neben seiner Haupttätigkeit als stellvertrender Solohornist des Lahti Symphony Orchestra ein gefragter Dirigent, Kammermusiker und Musikpädagoge. Er ist bekannt als vielseitiger and innovativer Musiker, der im symphonischen Repertoire, der Oper und der Kammermusik sowohl als Dirigent wie auch als Instrumentalist zuhause ist. Ein besonderer Schwerpunkt ist die zeitgenössische Musik und die intensive Zusammenarbeit mit Komponisten, wie z.B. bei Aufführungen der Kammeroper Der Schlangenringvon Harri Ahmas 2008 und 2011. Komulainen hat auch erfolgreich mitgewirkt bei der Entwicklung einer die verschiedenen Kunstgattungen vereinenden Musikpädagogie für die neue Generation. Hierbei arbeitete er mit zahlreichen führenden finnischen Orchestern zusammen, z.B. in Helsinki, Lahti, Kotka und Tampere. Komulainen hat für die Labels Ifo, Fuga und Alba CDs eingespielt. Zu seinen Veröffentlichungen gehören ein Album mit Musik von Naji Hakim mit den St Michel Strings (2009) sowie die CD I Mosaici di Roma, welche Hornwerke zusammenbringt, die von Komulainen uraufgeführt wurden und ihm gewidmet sind. Er unterrichtet seit mehreren Jahren Dirigieren an der Sibelius Akademie und auf Kursen und hat als Pädagoge mit den Bläsergruppen mehrerer Orchester gearbeitet. Petri Komulainen ist als Gastdirigent mit zahlreichen finnischen Orchestern aufgetreten, darunter Finnisches Rundfunksinfonieorchester, Lahti Symphony Orchestra, Kymi Sinfonietta, Pori Sinfonietta, Tampere Philharmonic Orchestra, Turku Philharmonic Orchestra, Finnische National Opera Blechbläser Ensemble, Sibelius Academy Symphony Orchestra, Blasorchester Sisu, Oulu Symphony Orchestra, St Michel Strings, Vivo Symphony Orchestra und Zagros Ensemble. Während der Zeit 2005 bis 2013 ist er Dirigent des Helsinki Polytechnic Orchestra gewesen und seit 2013 Künstrelische Chef von Zagros Ensemble. In der Saison 2011-12 tratt er als Gastdirigent u.a. bei der Jenaer Philharmonie und dem Lahti Symphony Orchestra auf. In Lahti im Jahr 2012 hat er eine modernisierte Fassung von Igor Strawinskys Petrouchka dirigiert, zu der schwarz-weiße Stummfilme von Schülern der Gesamtschule in Lahti gezeigt wurde. 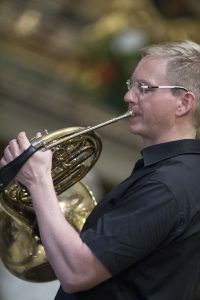 Petri Komulainen studierte Horn und Dirigieren am Helsinkier Konservatorium, der Sibelius Akademie, der Musikhochschule in Freiburg im Breisgau und der Schola Cantorum in Basel. 2008 absolvierte er den Master-Studiengang der Sibelius Academy mit sehr guten Noten sowohl im Hornspiel wie in der Orchesterleitung. Komulainen gewann 2006 den 3. Preis beim Internationalen Jorma Panula Dirigierwettbewerb. Annikka Konttori-Gustafsson aloitti musiikkiopintonsa Lahden musiikkiopistossa. Opinnot jatkuivat Sibelius-Akatemiassa Izumi Tatenon johdolla sekä Detmoldin ja Berliinin musiikkikorkeakouluissa (Hochschule der Künste Berlin) professori Klaus Schilden oppilaana. Vuonna 2001 Konttori-Gustafsson suoritti taiteellisen tohtorintutkinnon Sibelius-Akatemiassa (aiheena Olivier Messiaenin läsnäolo ranskalaisessa pianokirjallisuudessa: 5 konserttia ja kirjallinen työ Soiva sateenkaari. Matka Olivier Messiaenin värimaailmaan). Konttori-Gustafsson on esiintynyt sekä solistina että kamarimuusikkona ja liedpianistina kotimaan lisäksi Islannissa, Italiassa, Ruotsissa, Saksassa, Sveitsissä, Tanskassa, Virossa, Venäjällä ja Yhdysvalloissa. Hän on esittänyt erityisen paljon aikamme suomalaista musiikkia sekä ranskalaista 1900-luvun musiikkia. Konttori-Gustafsson on tehnyt radionauhoituksia kotimaassa sekä Sveitsissä. Hän on levyttänyt mm. Kazuo Fukushiman musiikkia Liisa Ruohon kanssa (huilu-pianoteokset sekä pianosoolot), Olivier Messiaenin laulusarjan Harawi Tuula-Marja Tuomelan kanssa, urku-pianoduoja Jan Lehtolan kanssa, Ernest Pingoud’n laulu- ja pianomusiikkia Helena Tenhusen ja Jaakko Kortekankaan kanssa sekä Juhani Pohjanmiehen pianomusiikkia. Konttori-Gustafsson toimi pitkään pianomusiikin ja tohtorinkoulutuksen yliopistonlehtorina Taideyliopiston Sibelius-Akatemiassa. Hän on opettanut myös liedkursseilla ja pianon mestarikursseilla kotimaassa ja Saksassa. Annikka Konttori-Gustafsson studied with Izumi Tateno at the Sibelius Academy and with Klaus Schilde at the Hochschule für Musik Detmold and Hochschule der Künste Berlin. She obtained an artistic doctorate on the music of Olivier Messiaen at the Sibelius Academy in 2001. Outside of her native Finland she has appeared as a soloist, chamber musician and Lied pianist in Iceland, Italy, Sweden, Germany, Switzerland, Denmark, Estonia, Russia and the United States, performing a wealth of Finnish music and of French 20th century repertoire. 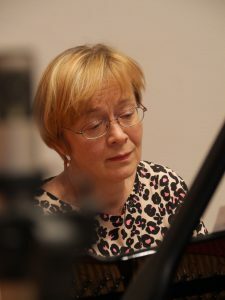 Annikka Konttori-Gustafsson has recorded for the radio in Finland and Switzerland and her discography includes music by Kazuo Fukushima (works for solo piano and duets with flutist Liisa Ruoho), Olivier Messiaen’s song cycle Harawi(with Tuula-Marja Tuomela), organ-piano duos (with Jan Lehtola), vocal and piano music by Ernest Pingoud (with Helena Tenhunen and Jaakko Kortekangas), and piano music by Juhani Pohjanmies. Konttori-Gustafsson has worked a long time as university lecturer in piano at the Sibelius Academy (University of the Arts Helsinki), she is also teaching in Academy’s DocMus doctoral school where her teaching includes supervising of and seminars for doctoral students. She has also taught Lied courses and piano master classes in Finland and Germany.